I first posted this three years ago, but it’s so relevant to the centenary commemorations of 11th November 1918 that I have reposted it today. Armistice Day 1918 marked the end of the First World War. It’s easy to think of the relief and optimism sweeping across Europe that the signing of the peace treaty must have brought. Perhaps we have visions of people returning to their homes in previously occupied territories, greeting loved ones, restocking the shops, and getting “back to normal”. Or we imagine citizens and soldiers dancing in the streets of villages and towns, to the pealing of church bells. But for thousands of Flemish people returning to Flanders Fields, the reality was totally different – and brutal. For them, there were no bells pealing from village churches. There was no dancing in the streets. There was no restocking of shop shelves. Why? Because there were no churches, no shops, no streets. In fact, there were no villages, nor towns. There was absolutely nothing remaining of the land they used to know. For most of the First World War, Allied and German forces were involved in trench warfare along the Western Front. This bloody battlefield stretched from the North Sea to the Swiss frontier with France. Despite the efforts of both sides, it remained essentially unchanged for the duration of the war. In Flanders the Front Line extended from Nieuwpoort on the coast, along the banks of the previously picturesque River Ijzer, past Diksmuide, around the medieval town of Ieper, and past Mesen to the French border. Its width varied between two and ten kilometres. On a clear day, a Belgian soldier would have been able to stand in relative safety behind the Front Line and see the German army moving in relative peace on the other side. The land in between, however, was a monstrous hell of death and destruction. In this long, narrow stretch of West Flanders, more than half a million soldiers were killed, wounded or missing. Tens of thousands of civilians were forced to flee for their lives. Towns, villages, farms, woods and fields were totally devastated. When peace was finally restored on 11 November 1918, virtually nothing was left of the original landscape. The area became known as the Verwoeste Gewesten – the Devastated Lands. What happened next and how the landscape was restored to its previous state is a remarkable story of the perseverance and opportunism of the Flemish people. After the Armistice, two action plans were hastily formulated and implemented. 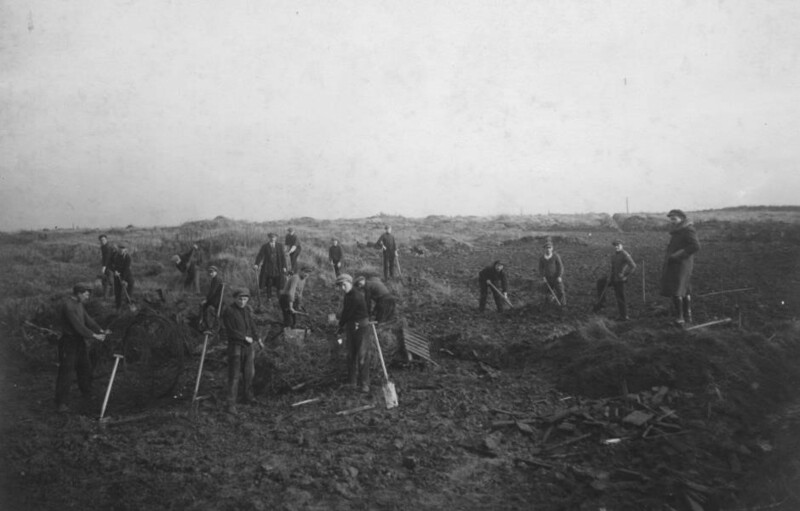 The first was to retrieve, identify if possible, and bury the bodies of the soldiers who had died on the front. Many of these had lain unburied for years and all clues to their identity had been lost. Others had been buried in temporary graves. These were exhumed and laid to rest in permanent cemeteries. The second task was to level the ground. The British Army’s Chinese Labour Corps played a key role in this work. Initially shipped over from China to dig trenches and latrines and provide other support to the fighting soldiers, they stayed in Flanders after 1918 to help clean up the war zone. They did not return to China until 1920. German prisoners of war were also used. Trenches, craters and shell holes were filled in and at some point it was declared that civilians could be allowed to re-enter the war zone. They were told to expect the worst. It would have been an extremely traumatic return – a nightmare scenario. One farmer returned to his farm, found absolutely nothing recognisable, and committed suicide. Another man from Ieper couldn’t find a trace of his farm until he found a tap to an underground water pipe that he had installed in 1914. It was the only thing remaining of his property. Their first priority was to build temporary accommodation, and the resourcefulness and ingenuity of the Flemings came to the fore. 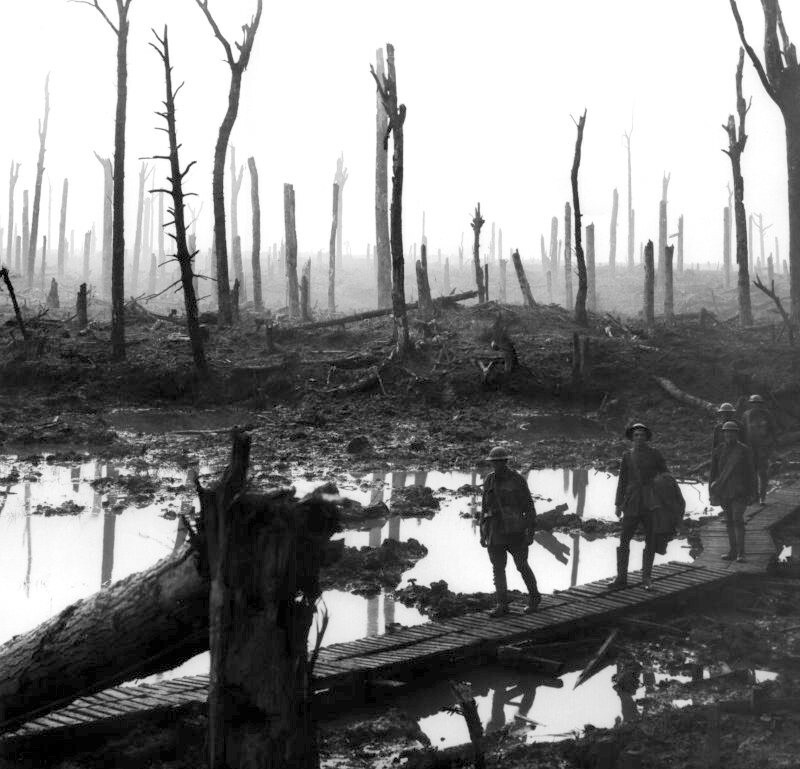 Scattered around the battlefields were huge dumps of wood and scrap iron. Using such materials, basic huts and sheds were constructed. Other families took over abandoned Nissen huts. 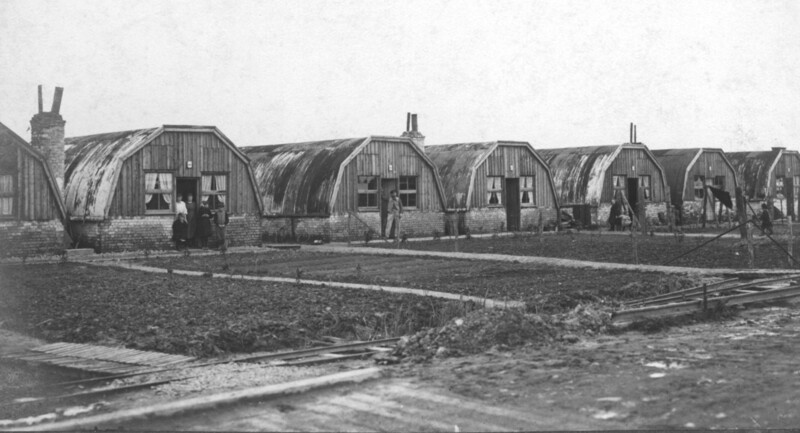 These were prefabricated, portable multi-purpose huts developed by Major Peter Nissen of the Royal Engineers in 1916. At least 100,000 of them were produced in World War One as temporary barracks for soldiers. 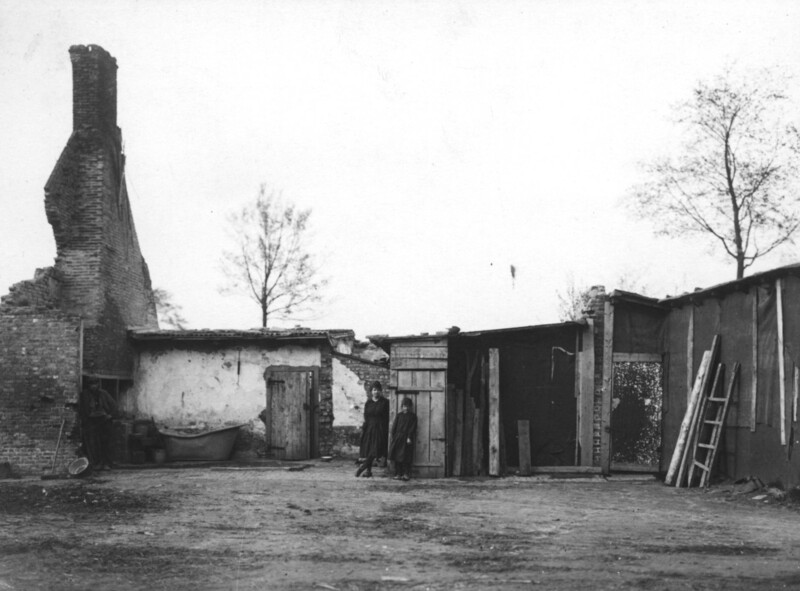 The Belgian government also provided their people with temporary wooden huts. The availability of clean drinking water was a problem. The River Ijzer and the two lakes that provided water to Ieper were totally contaminated and unfit to drink. Local breweries came to the rescue. They drilled deep bore holes and pumped up clean water. They used it for their own brewing processes and to provide potable water to local inhabitants. The next task was to re-develop and re-stock the land. This was necessary not only in the war zone itself but up to ten kilometres on either side. One of the reasons was the extensive use of chlorine, phosgene and mustard gases in the region. These poisonous gases were not only fatal to humans but killed everything living in their path, including livestock as well as vegetation. The Belgian Ministry of Agriculture provided new seeds and plants, while farmers in the Netherlands – particularly from the province of Limburg – donated cattle, horses and even chickens. Slowly but surely, new life began to return to the Devastated Lands. However, working in Flanders Fields in the early 1920s was a dangerous occupation. It has been estimated that a quarter of the one billion projectiles fired during the First World War failed to explode, but remained live. That’s 250 million projectiles. 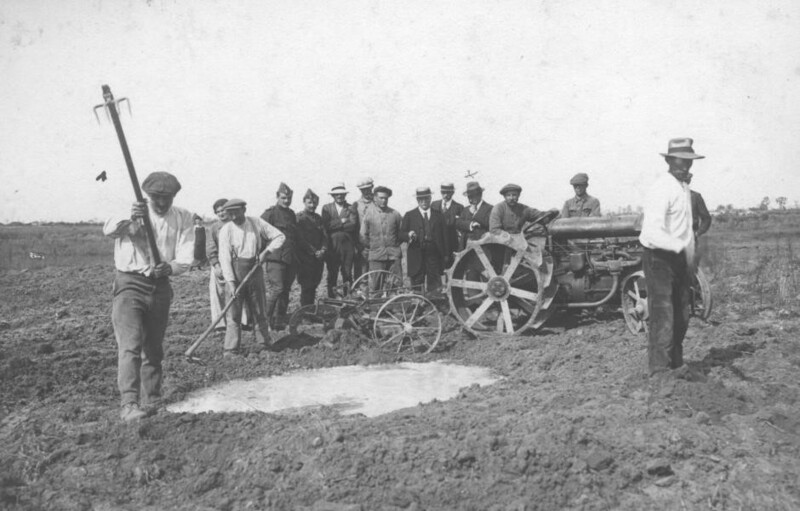 Farm labourers were constantly being maimed or killed by unexploded ordinance. It was apparent that the initial clean-up operation had been too superficial. Around this time some clever opportunists appeared on the scene. They would perform a service of “deep digging”. For a fee they would thoroughly dig out a hectare of land, remove all the shells, and proclaim it as clean land. A number of family fortunes were made in this way. Also amassing great personal wealth were the scrap metal merchants who went from battlefield to battlefield collecting shells and selling the iron and copper. Both jobs were fraught with danger and frequently led to workers losing limbs, if not their lives. With the land beginning to yield its first crops and livestock increasing in numbers, farm buildings could be rebuilt. Often the same architect would be commissioned for a number of farms and he would use the same design. Unbelievably, the so-called Period of Reconstruction of the Verwoeste Gewesten lasted until 1967, when the final annex to the Cloth Hall in Ypres was finished. Unfortunately, it’s not quite the end of the trauma. Each year, nearly 300 tons of rusting bombs, grenades, mortars and shells are unearthed. About one in 20 contains poison gases that are still potent enough to kill. The locals call it the “Iron Harvest”. In 2014, two people were killed in Flanders by a century-old unexploded shell. Despite all the efforts, the legacy of this horrendous episode in European history still remains in Flanders Fields. Thanks for your response Judy. Unfortunately it seems that humankind never learns its lesson. As the poet Steve Turner puts it: History repeats itself. Excellent post, Denzil. I have gotten some rich responses to my re-post of your Flanders Field posting. I will re-blog this one too. Great, thanks Pat for taking an interest in this topic from a Flemish point of view and for reblogging them. I am glad you find them interesting. In fact, I found them so nice, I re-blogged two of you other WWI posts also. Very good post! I have always enjoyed military history but have tended to focus more on WWII and Vietnam. I think I will now have to broaden my horizons. Your are welcome! I look forward to reading more of your posts. And, thank you for the mention! Much appreciated. As a novice indie author I am well aware of the importance of any kind of encouragement an author can get! https://encourageachild.org/ is my own writing project. This is a terrific post, and particularly since the aftermath of war is generally overlooked. It’s hard to believe the bomb squads in France are still busy dealing with the “iron harvest,” after a century. 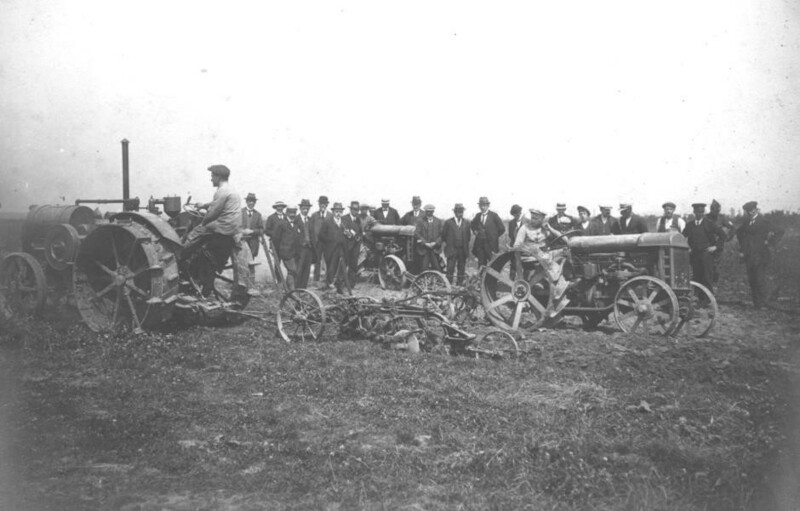 A few years ago, a man in the U.S., who ran an online business, selling artillery-related artifacts from the American Civil War, was blown up in his driveway, when he tried to cut open a shell from the 1860’s. I don’t think I’d even try to dig up a garden bed in that part of the world, that stuff is still lethal. Several of my relatives were in the A.E.F., and one of my great-grandfathers was in the Austro-Hungarian army – somewhere in my parents’ house, is a coin bank, and a sort of vase, made out of artillery shells, which I guess littered the landscape by the billions by 1918, and the doughboys and locals used to bang the leftover brass into all sorts of stuff. Hi Robert, thanks for your enthusiastic response to this blog and my books. Yes, it’s unbelievable how a war has consequences long after hostilities have ceased. Mind you, you only have to think of the problem with land mines in Africa and eastern Europe. I even felt a bit nervous when I was hiking through Flanders Fields a couple of years back, especially when I went “off piste” a bit. Glad you like the concept of the books. I have no idea whether I will end up selling 1, 10, 100, or …? So any excitement I feel is tinged with a certain apprehension. Thankfully with eBooks you don’t have to put out a large up-front investment. So we shall see! Great idea to revisit this post Denzil. We were amazed when we visited Ypres to learn that it was all reconstructed after the war. Even more so when we read that Winston Churchill wanted to leave the town as a wreck as a memorial to the war. Fine for him to say that from the comfort of his home in England. Thankfully the local people ignored him and rebuilt their homes and the town centre. It must have been a mammoth task but they did an amazing job and it is a beautiful place again. Yes Carol, Ypres stands as a monument to their courage and fortitude. And it’s been reconstructed in such a lovely way too. I think it’s so good that these soldiers are still remembered after such a long time, and feel confident that they will still be commemorated long into the future. Denzil, how soon we-humans forgot the cost of war on our lives! Thanks for the link Frances. The Vimy monument is indeed a stunning and moving commemoration of that horrendous battle. Yes, it is. I have to admit that I shed more that 1 tear while writing that post. Thanks for this informative post, Denzil. War truly is hell. Thanks for dropping by Eliza. Yes, we can’t imagine the hell it was for these young boys, main of whom were still in their teens. I was disturbed yesterday on reading that were even casualties on the 11th November, after the Armistice had been signed, because news was slow reaching some places where fighting was still ongoing. I still remember this post Denzil. It is incredibly powerful. Yes Brigid, unfortunately some posts are timeless. Bedankt Denzil, een geweldig verslag ! Dank U Leen! Beste wensen. I was fortunate to visit the site of my great grandfather’s death and burial this summer in Ypres. The photos in this post really bring into focus the progress made. If you can visit, I’d highly recommend it. Hi Fiona, yes it is incredibly poignant to visit these war graves, especially when you can find a relative’s grave. It must have been a most special and moving time for you. Thanks for sharing. I’m glad you re-posted this blog, Denzil. It was very interesting to read. We seem to forget how difficult wars and the times after the wars are. I could listen to my oma forever, when she was recalling stories of WWII. She had been born in 1920. Now that she – and most others – of her generation have passed away, oral records are lost. Yet, we should all know and remember these difficult times, to learn from them and to realize what a good and fortunate life we now have! Hi Liesbet, yes I am sure your oma was a wonderful source of stories as she would have been in her 20s throughout the Second World War and would have had immense challenges I am sure. On another topic, I sent you an email recently. Did you receive it? If not I will resend it. Very interesting. Well done Denzil. Thanks! Thanks Reid! Hope you are all well over there! Flanders Fields has long been associated with the absolute devastation of war, not just WWI, but any war. It was projected as the bleak outcome of the destruction of war on soldiers, citizens, and the land itself – at least that’s how I’ interpreted it even as a kid. Thank you for this history lesson about so much I never knew. Rebuilding after war is a long and difficult job with little note about those who make it a reality. Thanks for your comment Sharon. I am always amazed at the fortitude of people who rebuild their lives after a disaster, whether it’s man-made or natural. At the moment my thoughts are with the people of Paradise, returning to the shells of their homes. Fascinating article. I wrote a book (The Golden Grave) set in Ypres in the aftermath of the war, when bodies were being retrieved from the battlefields. Your article would have been very useful had I known about it at the time! Thanks David, I will check out your book at the weekend!